We thought you might be interested in seeing an in-depth look at low home repair in the Twin Cities and Northwest Wisconsin areas. 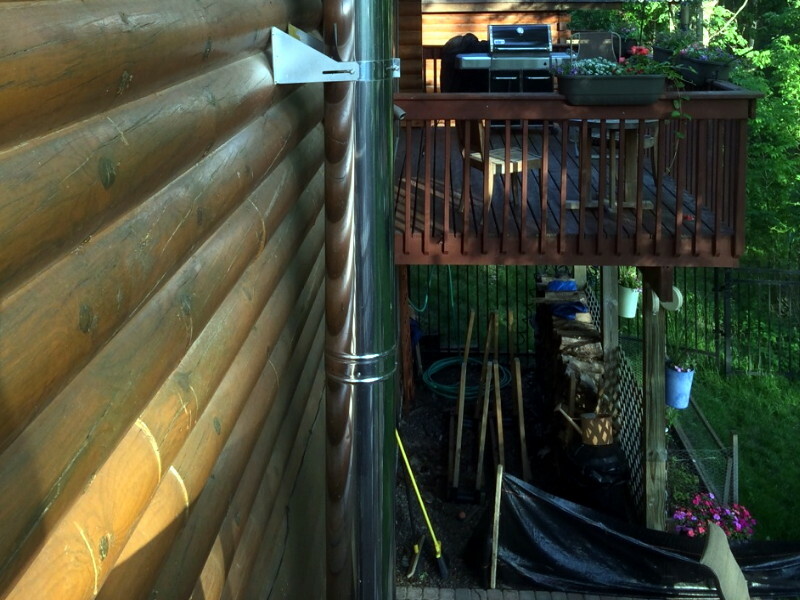 In the last month, we have looked at two log homes that have had bowed walls. Each was a little different. The first log home was in the Twin Cities area. It is a 25 year old “turned” log home in White Bear Lake. A “turned” log home is one where all the logs have been turned on a lathe to the same diameter. It is unclear exactly when this bulging in the log wall occurred, but it is certainly related to the large open roof plan in the great room/kitchen. The combination of relatively small diameter logs, short pieces of log, and the “pushing out” effect of the rafter system made for a situation where this type of warping can happen. It’s a little hard to see but the wall is bowed out from the pressure being exerted on them. Notice how the center logs in this photo are pushing out. This picture is of a log cabin in northwest Wisconsin near South Range. It is a 35 year old Aspen log home with a framed second full story, which makes for a bit of weight on this log wall. My suspicion is that the log wall in the photo was just a bit taller than the rest of the walls when it was built. 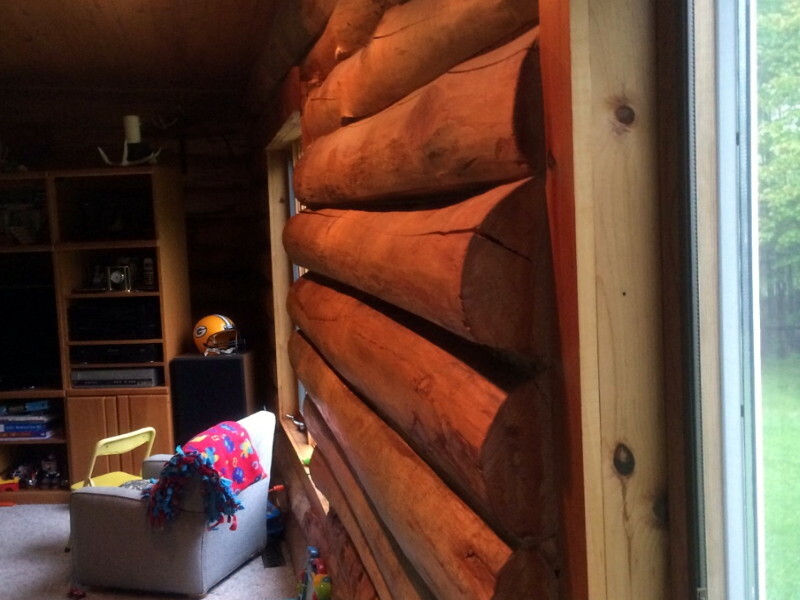 When the logs shrunk in the natural drying process, the weight of the floor above put a large amount of weight on the logs between these two windows, and the logs bowed out in response to this pressure.